Kashmir valley is observing a complete shutdown on Saturday against the controversial Kausar Nag Yatra. Authorities have imposed restrictions in areas coming under five police stations of Old City. 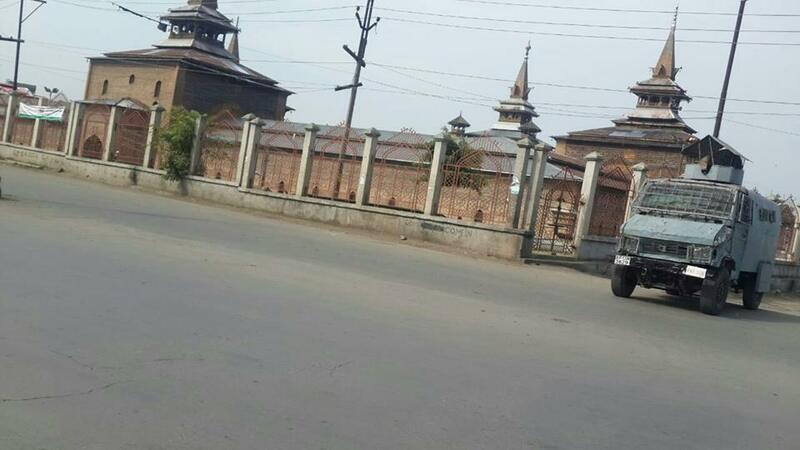 Hurriyat (G) chief Syed Ali Geelani had appealed people to observe shutdown against the ‘new Yatra’ which he considers “a threat to the majority people of Kashmir”. Shops and business establishments are closed while public traffic is off the roads though mild private transport is plying in civil line areas of Srinagar. Authorities have deployed large contingents of police and Para military forces while concertina wires have been erected at main junctures especially in the Old City. Reports of shutdown are also coming from valley parts with people remaining indoors. South Kashmir’s Kulgam district which witnessed strike and protests for last three consecutive days is also witnessing huge deployment of men in uniform. Pertinently, Hindu extremist forces are planning religious pilgrimage at many glacial tourist places of Kashmir. The experts have warned against such moves saying the intervention ecological set up would be disturbed. Moreover, experts and the majority political players are of the opinion that the glacial water bodies are only tourist spots and don’t have any religious significance.